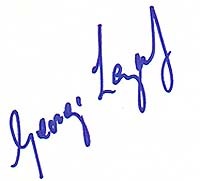 George Lazenby is a not easy to get signer. Trough the mail he doesn't answer any fan mail meanwhile. In-Person he is a good signer but he is not often seen in-person. So his autograph is tough! Sometimes he does signings on shows or private ones. Many fakes on the market especially in USA.